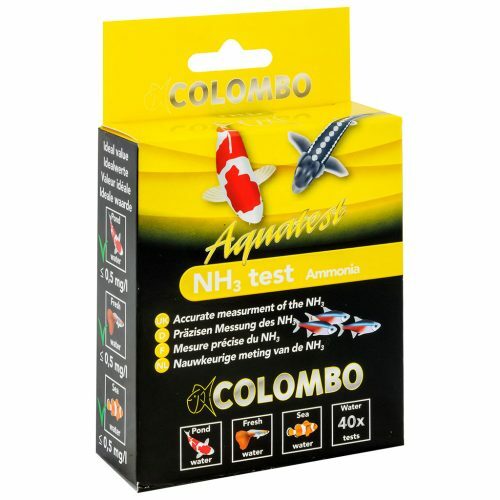 Colombo Nitrate Pond Test Kit (NO3), is produced from the breakdown of nitrite in the filter. 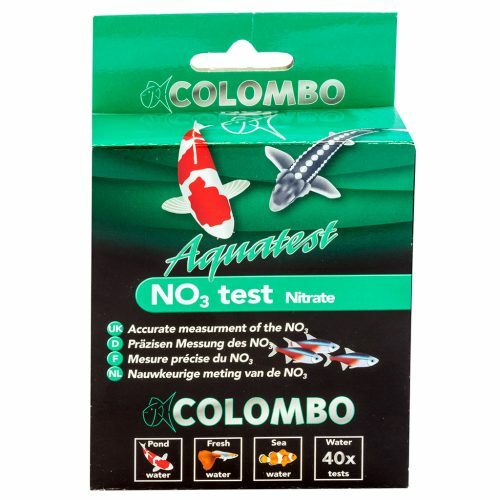 Nitrate is relatively harmless to freshwater fish, but its presence can indicate a deterioration in the aquarium environment, and high nitrate will encourage algal growth. 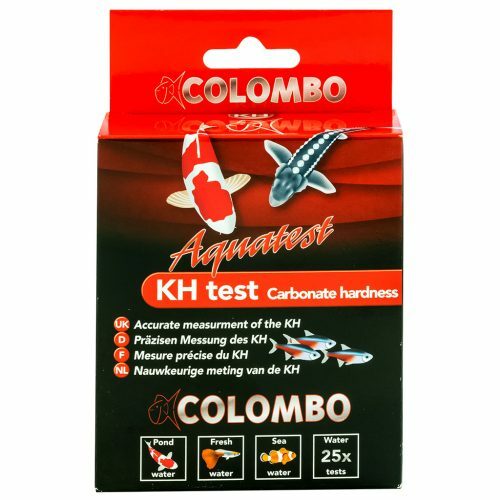 Colombo KH Test Kits will help you ensure the correct Carbonate Hardness (KH) is maintained in your pond. 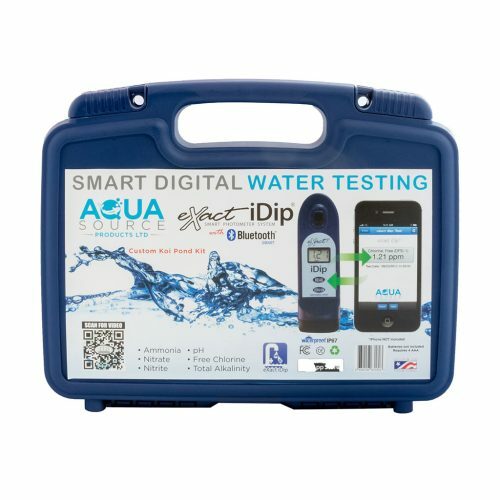 For clear pond water and healthy fish and plants you need to monitor your KH and pH levels. 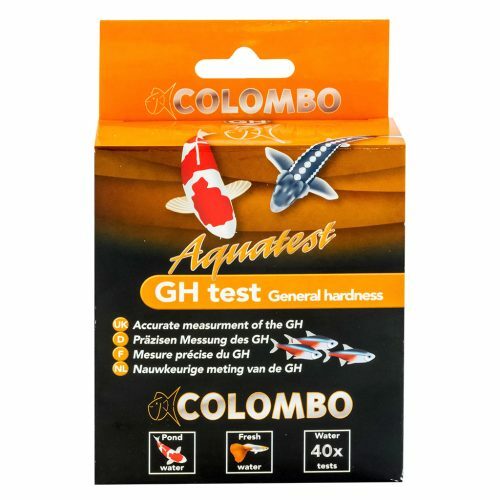 Colombo Pond GH Test Kit accurately measures general hardness in aquarium and pond water. 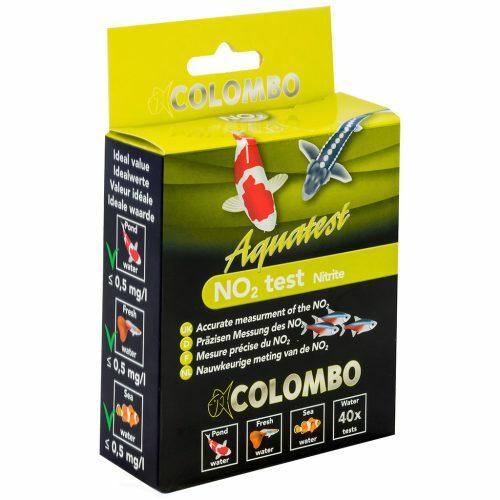 Regular testing of your pond water quality will help ensure optimum health of your fish. 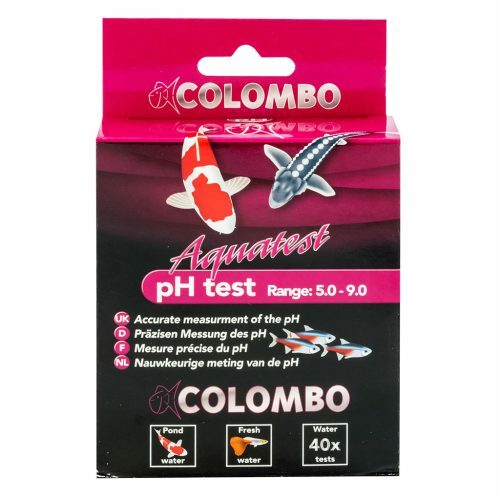 Colombo KH Test Kits will help you ensure the correct amount of phosphate is maintained in your pond or aquarium. 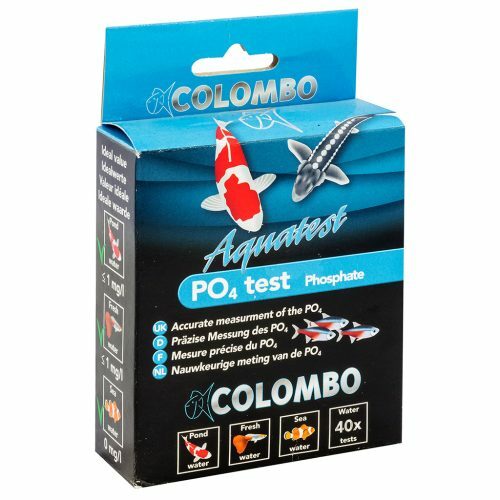 For clear water and healthy fish and plants you need to monitor your PO4 levels. 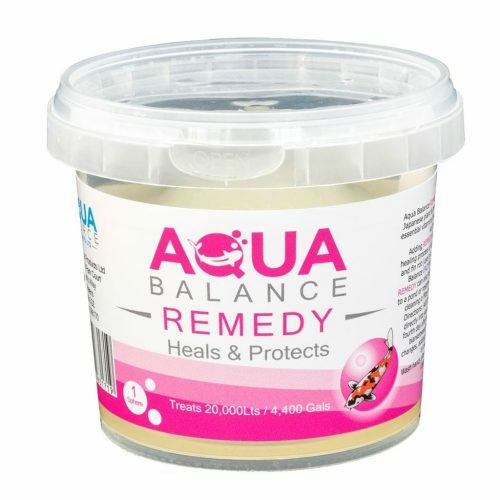 Aqua Balance Enzyme from Aqua Source is a unique and innovative product, designed to replenish and revitalise your koi. 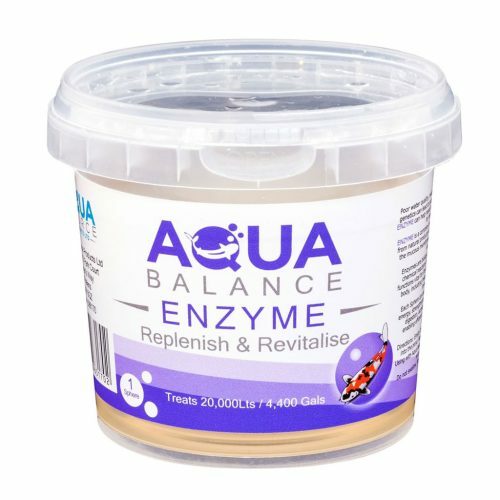 Enzyme is a complex cocktail of enzymes made only from natural products which are absorbed by koi via the mucous membranes. Enzymes are biological catalysts that speed up chemical reactions in cells. They perform a number of functions and are vital for life and efficient function of the body, including metabolism, digestion and the immune system. 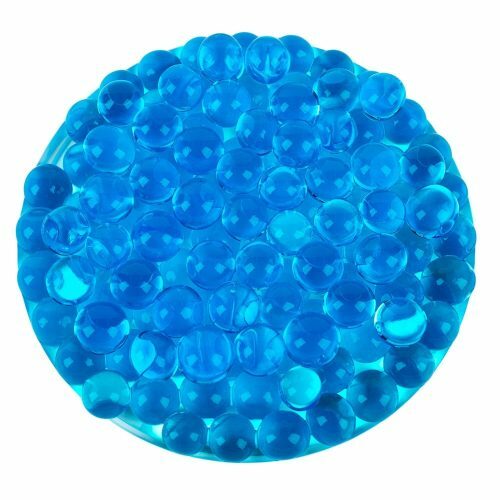 Each Aqua Source Aqua Balance Ball is packed with millions of beneficial bacteria, which will help smooth out Ammonia and Nitrite spikes and keep your pond clean and healthy. The Aqua Balance Balls slowly biodegrade as the bacteria is required to boost pond filtration. Enzymes in the balls also help reduce organic material in your pond, resulting in clearer water. 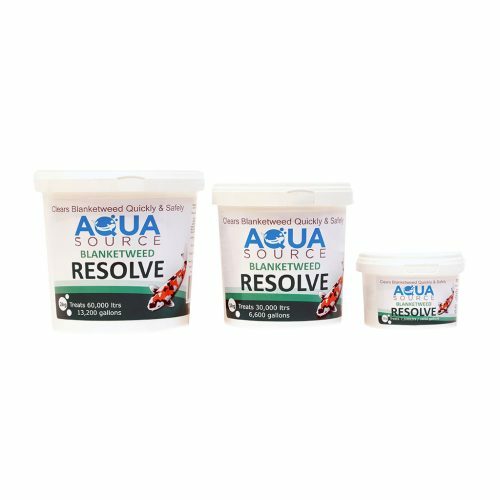 The Aqua Source Aqua Balance Spheres with Sludge Control are designed to reduce harmful Ammonia and Nitrite levels quickly and effectively. Each Aqua Balance Sphere is packed full of beneficial, friendly bacteria that will help maintain a clean and healthy pond. Millions of enzymes in the Sphere help reduce organic material in your pond, resulting in clearer water.